With search engines contributing enormously to the profitability of IT industry, the client wanted to introduce a concept of a search engine with a chance to win prizes. This project was divided into two sections: Web and Toolbar. Currently, no search engine rewards its users, therefore; client introduced a new concept to avail high no. of hits to the client’s search engine for which users would be rewarded. Each search is a chance to win a prize. Acts as a full-fledged search engine with an effective algorithm running on the backend. Is feature-rich exhibiting potential to compete with top search engines. Allows users to log in. Maintains browser history capturing details of the highest browsing user. Notifies users on winning and redeeming prizes. Provides toolbar that allows multiple users to search without visiting the website. Offers one-click access to YouTube, Facebook, Twitter, eBay. Bookmark and weather details from the toolbar. Helps in Web and Image search. Allows Pop-up blocking and marking a website as Home Page. offered multiple one-click features. At the backend, the software allows performing multiple Admin activities. It offers report generation, stockpiles comprehensive user details, version control and so on. Eye-catching search bar provides option for dynamic keyword search in its application server. Placement of “setting” icon on the right corner of the toolbar. This makes our toolbar unique from other toolbars. Auto-closing of the browser. Building an installer capable of installing toolbars for all browsers with improved performance. Cutting-edge technologies like VC++, MFC, ATLCOM, COM+, MSDEV 2005, XPI, RDF, XUL etc. were used to develop this application for browsers such as Internet Explorer and Firefox. The design approach was built around PHP architecture to maintain security and scalability of the application. 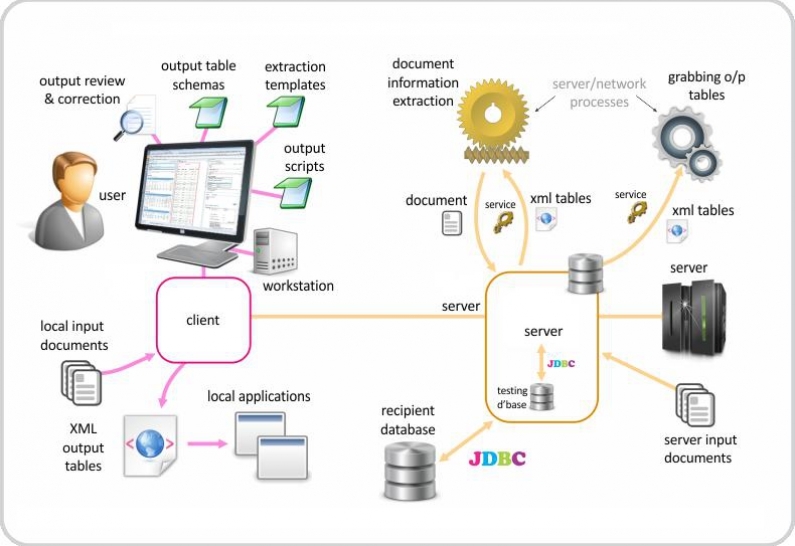 Using MYSQL ensured query optimization and stored procedures were used to handle complex queries from multiple tables to enhance system performance. translating the object logic to the relational logic was used to communicate with the relational databases in an object-oriented manner. hiding the implementation details of a particular set of functionality. Implemented high level of server and data fetching technology. Scheduled research and analysis in order to estimate the actual level of output of data which is in a form of different verticals and business logics. Development – High Level coding standards have been followed for managing backup data volume. We maintained simultaneous synchronization with server for recent updates. Focused on syncing of existing and newly available data for backup with our database for result generation. Focused on flawlessly building over User Interface Layer which includes the Graphical User Interface of the website. Business Specific Layer: This acts as a bridge between the Presentation Layer and Database Layer. This will contain all the business logic for the different components involved in the project. Physical Database Layer: MYSQL with tables, views, stored procedures etc. the existing ones. Comprehensive search and browse options are offered within optimized query features. Web usability guidelines were strictly adhered to during the development and the interface was easily made navigable through the judicious use of CSS and HTML controls. The application was developed and fully functional within a span of 4 months.